Tommorrow is the official date of the 7 sorrows of Mary. 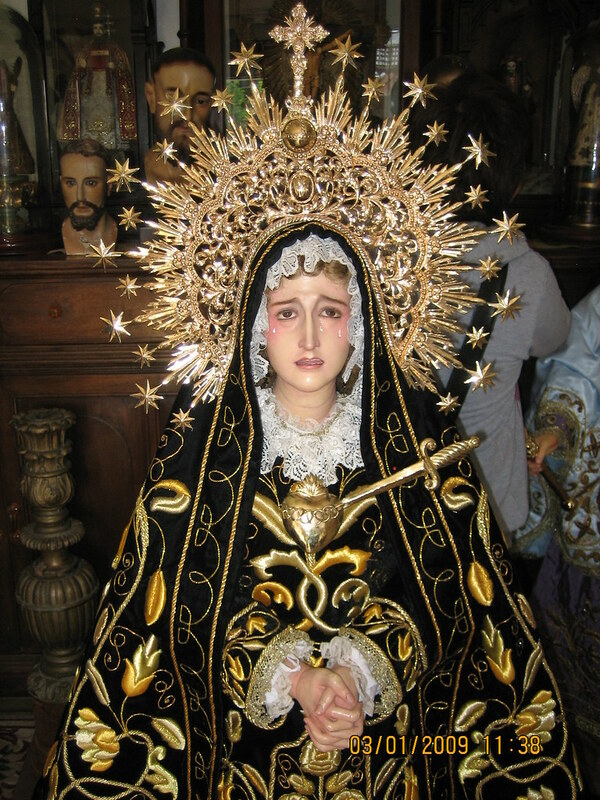 Let us console our sorrowful mother. How do you guys celebrate this day? I will say, as I try to every day, The Rosary of The Seven Sorrows. A very powerful prayer indeed! My understanding is that the Church celebrates the Triumph of the Cross on September 14th, approximately six months after Lent, to recall the importance of Our Lord's passion. I would guess that the Feast of Our Lady of Sorrows follows immediately to reinforce this reminder and also to emphasize that, although Our Lady shared Our Lord's sufferings in an eminent degree, the rest of the Church is also called to "fill up what is lacking" in His sufferings. In the Eastern Church, a major feast is often followed immediately by a feast that recalls a related mystery or saint; this is called a synaxis. Here is one of my favorite images of Our Lady, the Vladimir Mother of God, which I think is appropriate for this feast day. This is a good day to recall Our Lady's role as Mediatrix, Co-redemptorix and Advocate. I'm going to post a topic on this subject.